Beer garden for every season! 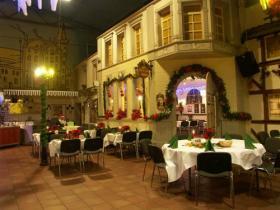 The Brauhausgarten Alt-Brühl offers you cultivated hospitality in a pleasant atmosphere. During your lunch break you can enjoy our daily varied lunch buffet consisting of various fish and meat dishes, as well as our fresh salad and dessert buffet. 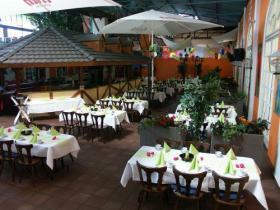 The brewery garden "Alt Brühl" offers excellent hospitality in a pleasant atmosphere. Enjoy your lunch break with our daily changing lunch buffet including several fish and meat dishes, as well as fresh salad and dessert buffet. 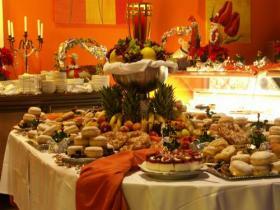 Get spoiled in our familiar atmosphere by the dinner buffet. Piece together your meal according to your desires spend a delightful and cosy evening together with your loved ones or alone. A table reservation or the booking of a menu/ offer is in the "Brauhausgarten Alt-Brühl" via GlobalGuest always for free you as a guest!